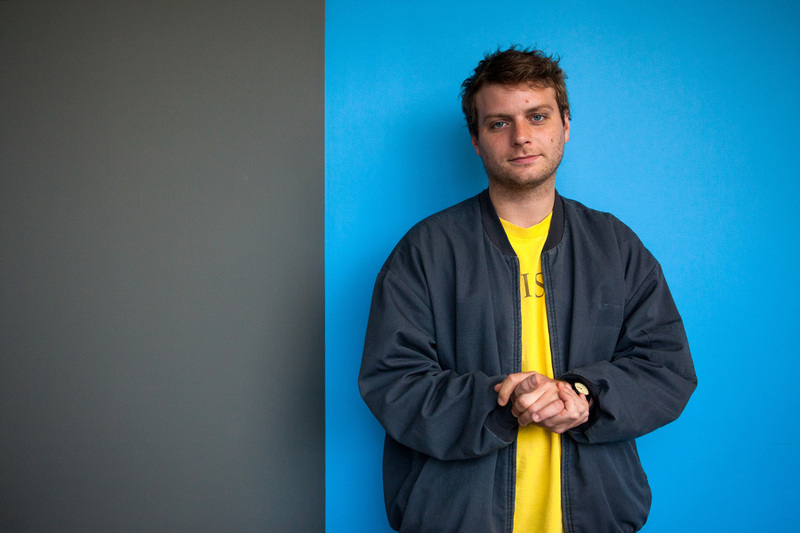 This Old Dog: Mac DeMarco On Growing Up And Getting Personal Musician Mac DeMarco has garnered the image of an impish pop-rock troubadour, but many of the songs on last year's This Old Dog tackle his conflicted relationship with the father he never knew. Mac DeMarco talks with NPR about how his relationship with his father influenced the music on his last album, This Old Dog. MAC DEMARCO: If a time comes or, like, you know, something where I need to be frank or be honest or be, you know, earnest or whatever, I'm capable of doing it. I'm a human being, you know. But I think that goofy gets a lot more click-bait than earnest. MARTIN: DeMarco's last album, "This Old Dog," is filled with his signature irreverence. But DeMarco says that as he's gotten older, he's allowed himself to become a little more vulnerable in his music and to write about some of the difficult things he's encountered growing up, like his distant relationship with his dad. DEMARCO: He's a very funny man - very charismatic guy - but, at the same time, an addict and a lot of not so great stuff. MARTIN: DeMarco was just five years old when his father left the family home in Edmonton, Canada. After that, he only saw him sporadically. But a couple of years ago, his father was diagnosed with cancer. DEMARCO: He got really sick, and we went up to Edmonton, me and my siblings, to see him. And that's where the strangeness came - you know, face to face with something like that, where it's kind of like, well, damn. You know, like, this could be the last chance. MARTIN: DeMarco was thinking about how to say goodbye. But the clownish spirit he's famous for - well, it turns out it runs in the family. DEMARCO: He does the, like, clowning around, funny guy - even though he's, like - you know, like, he's still, like, a really funny guy, super charismatic on a hospital bed. So it's, like - none of us are very - you know, it's like - we're trying to get real with him, but he's still joking around, like - so it was bizarre. Especially, I think, that my sister's husband was there with us afterwards. He was just, like, what's wrong with you guys? Like, this might be your - you know, talk to him. And we're all kind of like, we don't really know how. We don't know how. MARTIN: What DeMarco does know is songwriting, and even though his dad eventually recovered, he says that his latest album, "This Old Dog," gave him a chance to work through some of his conflicted feelings about the father he never really got to know. DEMARCO: (Singing) Haven't got the guts to call him up, walk around as if you never cared in the first place. The last song on the record is called "Watching Him Fade Away." It's halfway in between being angry at this person and being, like, come on to this person and also being, like, I love you to this person. And the other part is just complete confusion. But it is what it is. DEMARCO: (Singing) And even though we barely know each other, it still hurts watching it fade away. I'm not trying to, like, vilify the man or crucify him. I'm just trying to understand what that connection between two people is supposed to mean. DEMARCO: (Singing) Uh-oh, looks like I'm seeing more of my old man in me. The funniest thing about being alive in general is that you have this idea that, oh, when I get a little bit older, I'm going to understand things better. And I'm going to be more comfortable in maybe some ways. But for me, I just keep getting more confused and more weirded out. And, you know, it's, like, this is a very strange thing that we're all doing together, you know? It's very bizarre. It can be scary. Growing up is scary. So I write songs about it. DEMARCO: (Singing) Honey, I cried too. You'd better believe it. MARTIN: That's indie rocker Mac DeMarco. His album "This Old Dog" is out now. DEMARCO: (Singing) ...Heart still beats for you, even though you don't feel it.